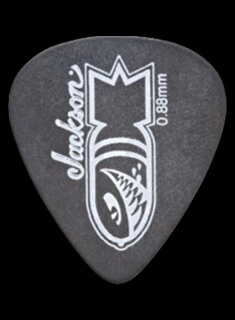 The Jackson Pro Dinky DKA7M HT was designed with the modern player in mind. Offering an expanded sonic palette, this seven-string beast has a 26.5” scale length and features an ash body with arched top, bolt-on maple neck with smooth hand-rubbed urethane back finish, rock-solid graphite reinforcement and ultra-convenient heel-mount truss rod adjustment wheel. Its speedy 12"-16" compound radius maple fingerboard hosts 24 jumbo frets and offset dot position markers, as well as stylish fingerboard and headstock single-ply binding. 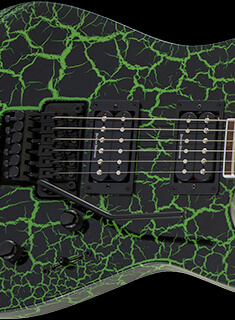 The DKA7M is powered by volcanic direct mount dual Seymour Duncan humbucking pickups—Full Shred SH-10b 7 (bridge) and Full Shred SH-10n 7 (neck)—and can be tweaked and refined with its single volume and tone dome knob controls, three-way toggle and momentary kill switch (for stutter effects). 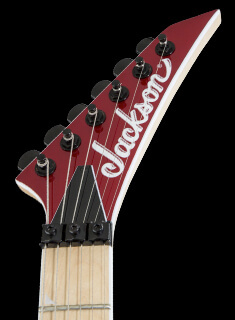 Other features include a Jackson HT7 string-through-body hardtail bridge, Planet Waves® Auto-Trim locking tuners, Dunlop dual-locking StrapLok® retainers, black hardware and 3x4 (3 over, 4 under) AT-1 headstock. 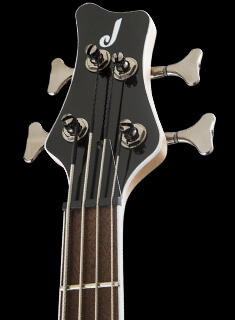 The 7-string Full Shred SH-10b bridge delivers a clear, focused humbucker tone with a nicely balanced treble and bass response, and a backed off midrange. A matching 7-string Full Shred SH10b neck pickup is one of the most articulate, bright sounding neck position humbuckers on the market, perfect for who want maximum clarity from their neck position. 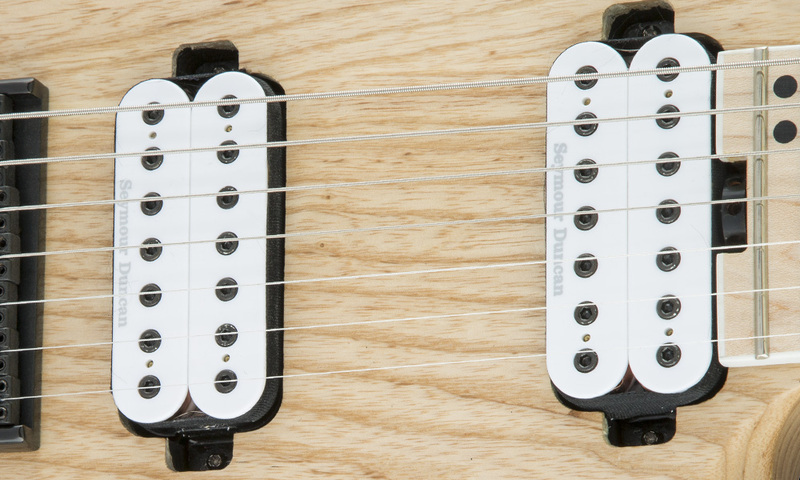 The pickups are mounted to the body for increased resonance and vibration transfer, adding more punch and sustain to your sound. 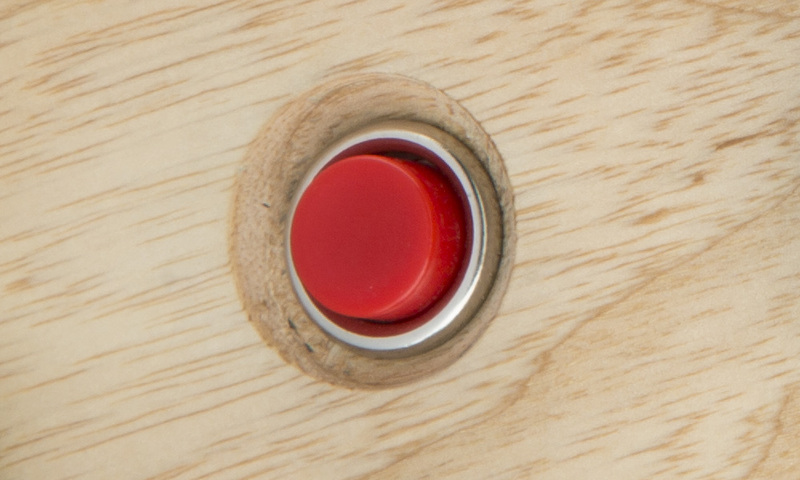 When a momentary kill switch is engaged, it blocks the signal from the guitar to the amp temporarily stopping noise output as long as the switch is pressed. 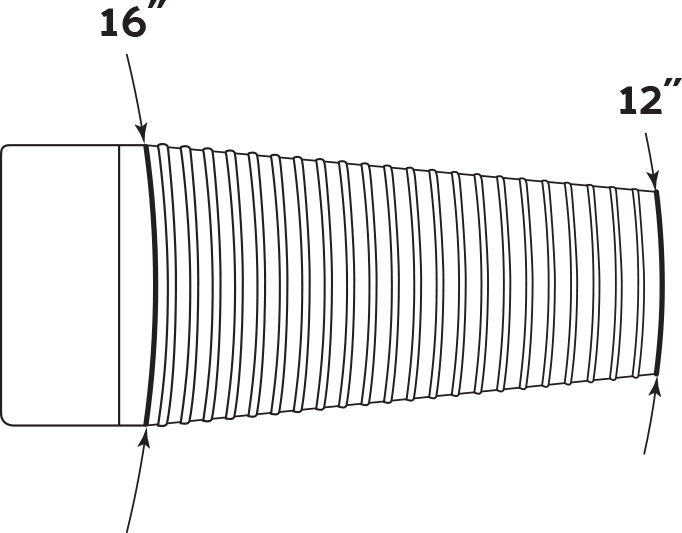 This allows for the stuttering effects that have become integral in modern metal.